Looking for a job in Madison County Indiana? This Madison County Indiana job guide is a resource for job seekers looking for legitimate employment opportunities in the region with an emphasis on government positions, top healthcare employers, jobs working in schools, and major job boards. 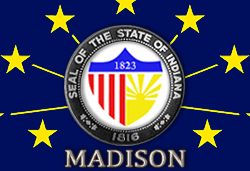 Madison County Indiana is a good resource for a variety of ongoing employment opportunities. A past review of open positions available had included Civilian Communications Operator, County Highway Department Labor, Medical / Clerical Assistant, Civilian Jail Officer, Youth Care Worker, Recycling Center Worker, Secure Detention Unit Security, Secure Detention Youth Care Worker, and PRN Public Health Nurse. Anderson Indiana peridically hires. Jobs being offered during this survey had included Deputy Director Economic Development, Water Meter Service Jobs, Bus Driver, and Laborer. Check the City of Elwood for current employment listings. During review there had been an announcement for Red Gold food processing facility. Community Hospital Anderson is a part of Community Health Network. Community's full continuum of care integrates hundreds of physicians, specialty and acute care hospitals, surgery centers, home care services, MedChecks, behavioral health and employer health services. Job openings included positions such as Pediatric Physician, Family General Practice Physician, OB/GYN, Registered Nurse Patient Care Coordinator RN, Licensed Practical Nurse LPN Cancer Center Anderson, Clinical Supervisor RN, Medical Assistant, Resource Nurse LPN, Physiatry (Physical Medicine & Rehabilitation), Nurse Practitioner Family Medicine, Patient Service Representative, Medical Assistant Resource, Endocrinology Physician, Home Care Occupational Therapist, Integrated Behavioral Health Consultant, Patient Care Technician, Nurse Examiner RN, Case Manager RN, Registered Nurse Wound/Ostomy Nurse RN, Physical Therapist, Registered Nurse RN Care Manager Med/Surg, Case Manager RN or LPN, Med Surg Nurse RN, Registered Nurse Cardiovascular, Registered Nurse RN Ortho / Neuro, Registered Nurse RN Surgery, Patient Care Technician, Gastroenterology Physician, Ambulatory Care Pharmacist, Genetic Counselor, and OBGYN: Gynecological Oncology Physician. St.Vincent has long been one of the largest employers in Indiana. Open positions had included Certified Medical Assistant, Customer Service Representative, Medical Assistant, Occupational Therapist, Paramedic, Patient Care Tech, RN Administration Representative, RN Registered Nurse Digestive Diseases, PRN Nursing Jobs, RN Registered Nurse-Staff Pediatric, Imaging Technologist, Registered Nurse RN Emergency, Registered Nurse Radiation Oncology, Registered Nurse PRN Jobs, Social Worker LCSW, and Ultrasound Technologist. Aspire Indiana is a fully integrated health system that addresses all aspects of health including primary care, behavioral health, and the social determinants of health such as housing and employment. Here you can find open positions such as Care Coordinator - Recovery Support, Employment Specialist, Forensic Interviewer, Home Based Therapist, Intake Clinician, Licensed Staff Therapist, Life Skills Coach, and Staff Therapist. Advantage is one of the largest providers of home care services in the state with 14 locations serving 50 counties. Careers found in Anderson included Certified Nursing Assistant CNA, Home Health Aide HHA, Registered Nurse RN, and Licensed Practical Nurse LPN. Above & Beyond Home Care Inc. is always looking for qualified caregivers who truly love caring for others. Jobs found included Scheduler, Registered Nurse RN, Home Health Aides, and Homemaker - Companion. At Home Specialized Senior Care hires Caregivers, Home Health Aides HHAs, and Certified Nursing Assistants CNAs. The Elwood Schools have approximately 1500 students in grades K - 12. They also have approximately 100 students in a wide range of pre-school classes. Here openings were found such as Evening and Daytime Adult Basic Education Assistants, Fall Head Coaching Positions, Full Time Building Custodian, Instructional Aide (Elementary), and Substitute Bus Driver. rankton-Lapel Community Schools offers a wide variety of curricular and extra-curricular programs, and delivers those programs by a stellar staff with a student-centered focus. Employment opportunities had included Assistant Principal, Guidance Counselor, Special Education/Mild Intervention Teacher, Social Studies Teacher, Grade 3 Teacher, Grade 6 Teacher, Special Education Instructional Assistant, and Special Education Teacher. South Madison Community School Corporation SMCSC is comprised of five schools - Pendleton Heights High School (9-12); Pendleton Heights Middle School (7-8); and three elementary schools (K-6) -- Pendleton Elementary, Maple Ridge Elementary and East Elementary. Carnegie Learning Center provides alternative education for secondary school students, with the focus on credit recovery. The district is often hiring. Available positions had included Co-Ed Tennis Coach Job, Girls Assistant Track Coach, Cafeteria Worker Job, Kids' Connection Caregiver, Part Time Custodian Job, Substitute Bus Driver, Cafeteria Substitute, Substitute Custodian, Substitute School Nurse Job, Instructional Assistant, Special Education Instructional Assistant Jobs, and Bus Aides. Anderson Preparatory Academy periodically has coaching jobs, teaching jobs, and support staff positions. During review there had been an employment opportunity for a ELL Support Specialist $10.00 per hour base pay. The mission of The Excel Center is to provide adults the opportunity and support to earn a high school diploma and post-secondary education while developing career paths that offer greater employment and career growth opportunities. Openings found included Part-Time Childcare Attendant. Liberty Christian School is a interdenominational school serving preschool through 12th grades. Their site provides an employment application. Anderson University is a private Christian college in Anderson, Indiana that employs more than 300 faculty and staff. A survey of open positions available included Tenure Track Faculty jobs and staff positions such as System Administrator, Radio Station Sales Manager, Programmer Analyst, Police Officer, Lacrosse Coach, Groundskeeper, Freelance Photographer, Freelance Graphic Designer, Enrollment Specialist, and Account Executive. The Chamber is also a good place to find local businesses inside their searchable directory.